Haotian Chen, PhD, (2013-2018), received the B.S. degree in Dalian University of Technology, China, and Ph.D. degree in Peking University. Currently he is a postdoctoral researcher at Texas A&M University, USA. His research work is focused on energy harvesting, stretchable electronic sensors and biosensors. Mengdi Han， PhD, (2012-2017), received the B.S. degree in Huazhong University of Science and Technology, China, and Ph.D. degree in Peking University, China. Currently he is a postdoctoral fellow at Northwestern University, USA. His research work is focused on energy harvesting, bio-integrated electronics, and 3D electronic networks. Bo Meng, PhD, (2011-2016), received his B.S. degree in Electronic Science & Technology from Huazhong University of Science and Technology, China in 2011 and his Ph.D. degree from Peking University, China in 2016. Currently he is a Assistant Professor at Shenzhen University, China. He majors in MEMS and his research interests are energy harvester and SiC MEMS. Fu-Yun Zhu, PhD, (2010-2015), received the B.S. degree in Electronic Science and Technology from Tianjin University, Tianjin, China, in 2010. She is currently working at BANK OF CHINA, Beijing. Her research interests include fabrication, characterization, modeling and simulation of micro/nano structures, three-dimensional reconstruction of surface morphology, and formation mechanism of nanostructures in DRIE process. Xiao-Sheng Zhang, PhD, (2010-2014), is currently a Professor at University of Electronic Science and Technology of China (UESTC). He received the Ph.D. degree in Microelectronics and Solid-State Electronics from Peking University in 2014. And then he joined École Polytechnique Fédérale de Lausanne (EPFL), Switzerland, as a research scientist, and also served as a research associate at The University of Tokyo, Japan. In 2017, he was awarded with the Hundred-Talent Professorship by the University of Electronic Science and Technology of China. His research field covers the micro/nano electronic science and technology, and especially its application for self-powered micro/nano electronics. 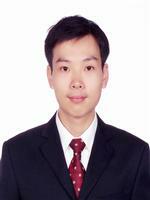 Xu-Ming Sun, PhD, (2009-2014) received the B.S. degree in Electronic Science and Technology from Chongqing University, Chongqing, China, in 2009. He is currently working at China Electronic Import and Export Co., Ltd. （CEIEC）, Beijing, China. His research interests mainly include design and fabrication of micro energy devices, MEMS inductors, wireless power transfer systems, and radio frequency microelectromechanical systems (RF MEMS) devices. Wei Tang，PhD, (2008-2013)， received his Ph.D. degree from Peking University in 2013. He visited CMI of EPFL to participate in a Swiss–China joint Project in 2012. His research interests are micro/nano-devices, principle investigation of triboelectric nanogenerators, power transformation & management, and self-powered wireless sensing network. Currently he is an Associate Professor at Beijing Institute of Nanoenergy and Nanosystems, Chinese Academy of Sciences, Beijing, China. Quan Yuan，PhD, (2007-2012)， received the B.S. degree in electronic science and technology from Northwestern Polytechnical University, Xi'an, China, in 2006, and the Ph.D. degree in microelectronics and solid state electronics as a Master-Doctor Continuous Study Student from Peking University, Beijing, China, in 2012. He is currently an Associate Professor at Institute of Semiconductors, Chinese Academy of Sciences, Beijing. His research interests include radio frequency microelectromechanical systems (RF MEMS), MEMS sensors and actuators, MEMS energy harvesters, and MEMS packaging. Mayue Shi master, (2013-2016), received his BEng degree in Electronic Science and Technology from the Xi’an Jiaotong University, China, in 2012, and his MSc degree in Microelectronics and Solid State Electronics from Peking University, China, in 2016. He is currently pursuing the Ph.D. degree at the Department of Electrical and Electronics Engineering, Imperial College London, UK. His research work is focused on energy harvesting, wearable electronics and self-powered system. Wei Hu，master, (2011-2014), received bachelor’s degree in Microelectronics from the Xidian University, Xi’an, China, 2011. He became a graduate student in Peking University, Beijing, China and joined Alicewonderlab after passing the entrance examination for postgraduates. His research interests include MEMS fabrication technology, black silicon technology and bionics. He has completed a conference paper about mimicking desert beetle to design a surface which has ability to collect mist for IEEE NEMS 2014 Conference. He is currently working at China Electronic Import and Export Co., Ltd. （CEIEC）, Beijing, China. Wen Liu, master, (2011-2014), received her B.S. degree in Electronic Science & Technology from Southeast University, China, in 2011, and her M.S. degree in National Key Lab of Nano/Micro Fabrication Technology at Peking University, China, in 2014. She majors in MEMS and her research interests are energy harvester. She is currently working at BANK OF CHINA, Beijing. Wu Hanxiang (2014-2018), received her B.S. degree in in Microelectronics at Peking University, China. He majors in microelectronics and his research interests are MEMS sensors and energy harvesting technology. He is currently a PhD candidate at University of California, Los Angeles. Jinxin Zhang, (2012-2017) received the B.S. degree in Microelectronics from Peking University, China, in 2016. He is currently pursuing the Ph.D. degree at Duke university, USA. His research work is focusing on microenergy and active sensors.